The Viking Cycle Cruise Motorcycle Leather Jacket for women is a true testament of time. This timeless leather jacket design has been used for years because it is very popular and well received. If you’re looking for a great leather motorcycle jacket with a classic design, look no further. This leather jacket is made out of cowhide leather so you know you’re getting the real deal. The genuine leather is wind and water resistant providing great protection against cold wind and rain. The leather is highly resilient against abrasions to provide more resistance between the body and the road for your protection, and also stand against wear and tear for product durability. 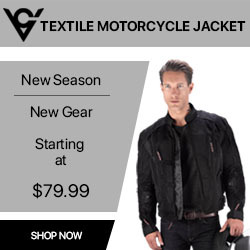 The Viking Cycle Cruise Leather jacket has a stylish braided design on the front seams and has highly durable zippers that will take repeated use over the course of the life of this jacket. In addition to the braided design and durable zippers, included are 2 zippered pockets on the outside so you can carry your valuables while not having to worry about them falling out while riding, simple zip them up and you’re good to go. 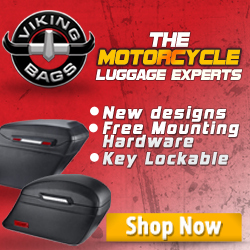 Viking Cycle takes the highest pride to provide the best motorcycle gear craftsmanship and material in the world. 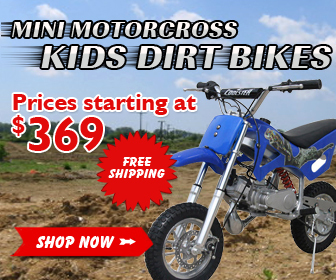 We always stand behind all our product quality. If you experience any manufacturing defects on any of our items, please let us know and return it for a replacement within 1 year of purchase.